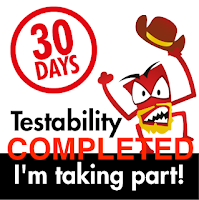 Joel Montvelisky wanted to write a post about the advances that have taken place in the tester-verse in the last 5-10 years. While he was trying to put this post together, he came to the conclusion that there really isn’t a centralized set of information or trends as to what is happening in the testing world. Thus, Joel reach out to Lalit Bhamare (who edits Tea Time with Testers) to create and conduct a State of Testing Survey. The purpose? To provide a “ snapshot” of what the “ reality” of the testing world is, and see if we can follow various trends as they shift year by year. For those feeling that this post is a dose of “deja vu”, well… yes, it is! The above couple of paragraphs are pretty much word for word what I wrote towards the end of 2013, when the last version of the survey was posted. Joel, Lalit and others who were asked to contribute to it are now bringing forward the 2015 State of Testing survey. I had a small hand in reviewing and helping shape this second go around for the survey. 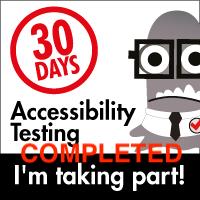 This survey will be going live roughly 00:00 Thursday, January 22, 2015 (Pacific Time). Right now, there’s a countdown saying when it will go live, so if you go there right now, you’ll see the countdown. Come back when it tells you it’s done, or subscribe to get the official go-live message. Like last time, I am anticipating the survey will be up for about ten days. Go to the link and subscribe so that they can contact you when the survey goes live. Participate in the survey and give you honest feedback. Make a point to tell as many testers as you can to likewise participate in the survey. For those who would like to see what the end of 2013 survey looked like, at least as far as the survey responders said, the link to the results are on the page as well. Also, a disclaimer; this survey is, like all things, subjective and reflective of the respondents as a whole. It may or may not reflect your own reality, but then, if you don’t participate, it definitely will not reflect your reality, or even a statistical sliver of it. If you want to give your opinion or have your voice heard, well, now’s your chance :).